'Unforgettable': this BBC series uses playback technology to enable guests to have a real-time conversation with someone, now dead, with whom they have, or have wanted to have, a connection. 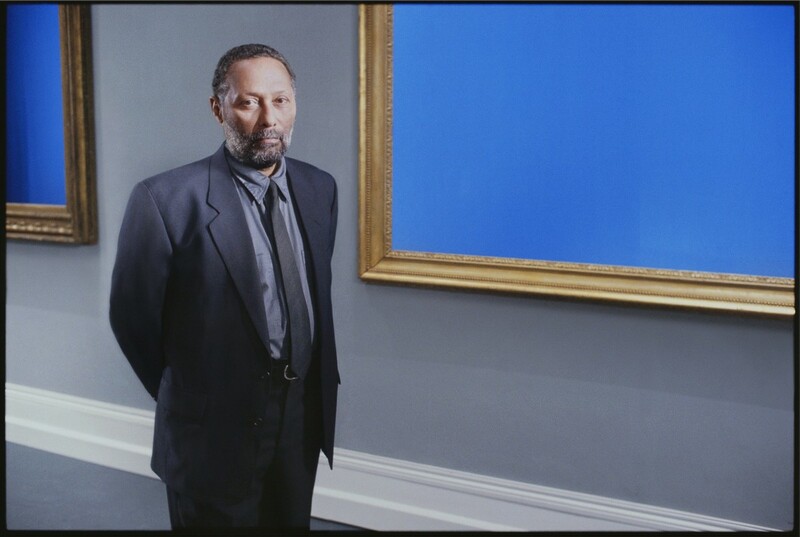 Isaac Julien has an imagined chat with former collaborator Professor Stuart Hall. The artist and cultural critic discuss prescient issues of the future of British 'identity' and the impact of Black artists on British art. As Stuart Hall approached the end of his acdemic career as director of the Centre for Contemporary Cultural Studies at the University of Birmingham and Professor of Sociology at the Open University, he turned what he terms his 'baggage' about diaspora, identity, culture and history towards the Arts. Isaac Julien, a filmmaker and installation artist who worked with him on projects such as 'Looking for Langston' and 'Frantz Fanon; Black Skin, White Mask', credits Hall for giving black British artists a language with which to break the narrow definitions of what constitutes British art.